Have a fabulous meal planned? Lots of different things to chop up? Doing stir fry and cutting meat and veggies? Keep your food clean and uncontaminated! None of us want to get raw chicken juices on our fresh vegetables. Prevent this by having multiple cutting boards and multiple knives to cut things. 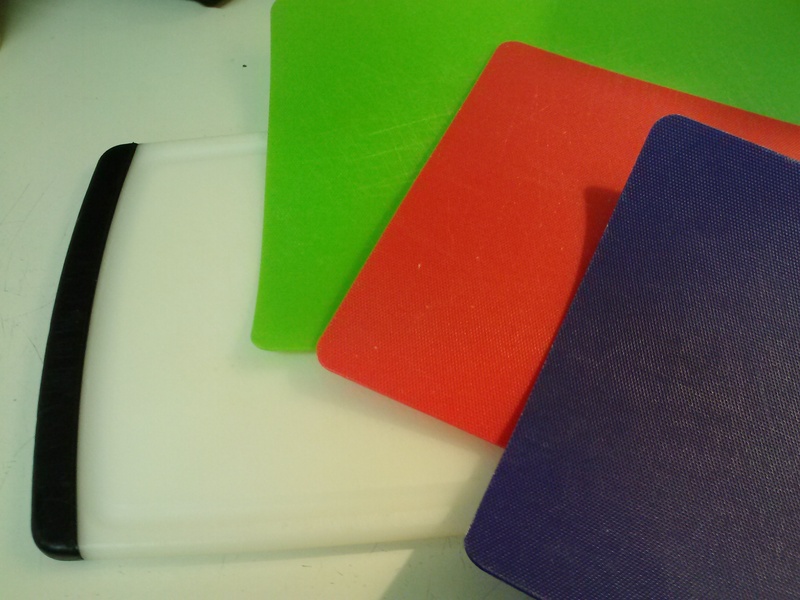 While I definitely have a cutting board I prefer, I also have several spare cutting boards for those days I’m making a complex meal with several ingredients I need to prepare. So, I will use one for my raw meat, which usually needs to be prepped first. Then, I remove the board and knife to the sink, wash my hands, clean the area, and get out a new board! This helps me keep my food safe, my body healthy, and avoid cross-contamination! Yay!